Today is the birthday of Antoine de Saint-Exupéry (born in 1900), the author of The Little Prince. Seeing that in my Email this morning of course turned my mind to thinking about those books that influenced my years from childhood through age 20, many of which are still beloved friends which get re-read regularly. The Little Prince - A classic tale. Ayn Rand's Atlas Shrugged was my reading material in late Middle School and I still consider it one of the most important books I've ever read. I re-read it on average every year or so, and it holds a place in all of my libraries as several copies of paper, an audio book, and an e-book. Looking through my bookshelf, I realized that I entered Anne McCaffrey's world of Pern very early since I have a first edition paperback of Dragonflight and also of Dragonquest. 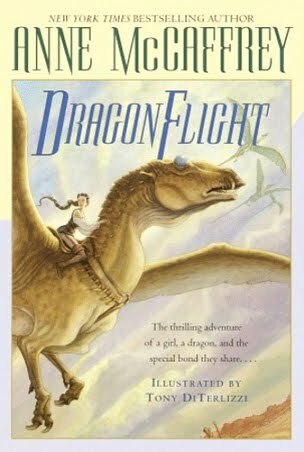 I remained a fan of Pern until Todd McCaffrey began co-writing her books, then fell off that world. Other vibrant and deep worlds that caught me were Darkover and Valdemar. I have read most if not all in both of those series and still pick them up to read now and again. Oh, how I loved this series of books! I'm sure I'm not putting books out there that haven't been picked up by many of you. 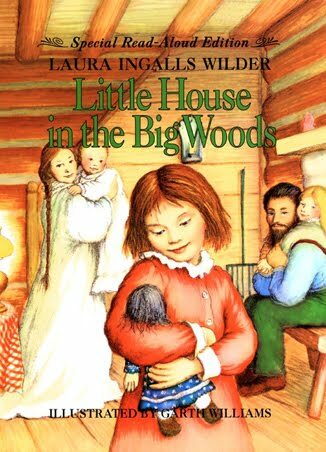 And the few books I listed are a small scratch in a very large library that also includes 100's of science fiction loves and also standards such as Little Women and the books by Laura Ingalls Wilder. It amazes me what wonderful things were available to hold in my hands while I grew up. Their authors allowed my imagination to soar. So on this day when the Little Prince looks out into the heavens, so also do I with a heartfelt "Thank You" to each and every author whose books I picked up to read when I was young and still pick up to read today so many years later. a heartfelt "Thank You" to each and every author whose books I picked up to read when I was young and still pick up to read today so many years later. I join you in the thanks! What treasures they gave us. Although the cultural surroundings of Atlas Shrugged are dated - technology has moved ahead - the characterizations and the rationale is wonderful. 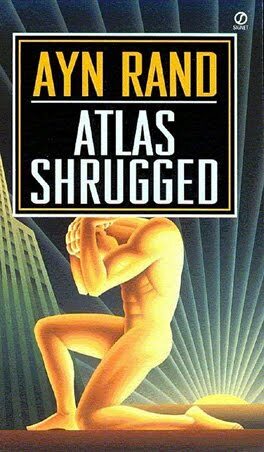 I look at today's political climate and see a tremendous amount of what Ayn Rand had depicted in this book and I find it more than frightening. The pushing down of individual thinking for the sake of the "common good", squashing personal viewpoints and artistry - it's a big turning point and what started John Galt on his journey. Her Dagny Taggert is strong, tenacious, and fully capable of being the driving force behind one of the major corporations, and her three lovers are exceptional men. Yeah - I love this book in so many different ways. Hmm seems I had a totally different reading experience as a "youth". McCaffrey ... I was in college when she was brought to my attention. Tolkien, High School. My first fanfiction, just so you know, was to Jules Verne's 20,000 Leagues Under the Sea. *sigh* Loved that book to pieces. Shortly in to high school I discovered such gems as Sabatini (j'adore! ), Frank Yerby and, thanks to my mom, Thomas Bertram Costain. Hated his fiction, LOVED his Plantagenet series which so totally got me "in" to reading about history. Thru college I remember carrying a big ol' copy of "Seven Pillars of Wisdom" by T.E. Lawrence and the 4 volume set (small freaking print I tell you!) of the 1001 Arabian Nights books (Sir Richard Burton's volumes). My father read Greek Mythology to me as I was growing up, starting practically in the cradle. He adored mythology, in fact named me after a very minor muse (I changed my name legally because I never really liked that name). I'm not familiar with Costain. I'll have to look him up. I love reading historical fiction and, sometimes, more historical fact. Dad was a scholar and I absorbed his love of history from him. I didn't even touch on hard science fiction in this post, and that's something I've loved for a long time. I suspect that my most commonly carried book in college was Dr Faustus, a bit of Thomas Mann (The Magic Mountain) and a variety of histories. I loved TE Lawrence. I was not as fond of the 1001 Arabian Nights though. My goodness but I love Atlas Shrugged. I place it at the same high level as Tolkien in my mind - up at the point of rarefied atmosphere levels. I have been known to buy copies for people who haven't read it just to introduce them to it. Now I skip the two major speeches in it, I've read them enough times, but I read every other word like eating a marvelous ice cream treat. I'd never heard of "the Little Prince" until a few years ago or the Pern novels and I was in my late 20's when I discovered Tolkien! I'm sure you also had favorite books as a younger girl, though. You live in a different country than I do, so you may well have read books that I didn't hear about until years later. I'd love to know what some of your favorites were. I loved Enid Blyton's Noddy books when I was very small and her Famous Five and Secret Seven books when I was older. I also loved(and still do) Richmal Comton's William books as did my Mum. I haven't heard of any of these! I think I'll have to hit the internet this weekend and look at them. If you liked them they deserve a glimpse and they might be a lot of fun. Enid Blyton is rather dated now but the William books are hilarious at any age. So I bought the first William book on e-book and I'll try it. It'll be a few days though until I'm caught up on my to-be-read shelf before I load it. I'm looking forward to it though. There certainly are a lot of books in the grouping! I'd love to know what you think of it and do ask me if anything puzzles you as they are very English. I have a whole row on my bookshelf and bring them out when I need cheering up.I usually laugh till I cry!